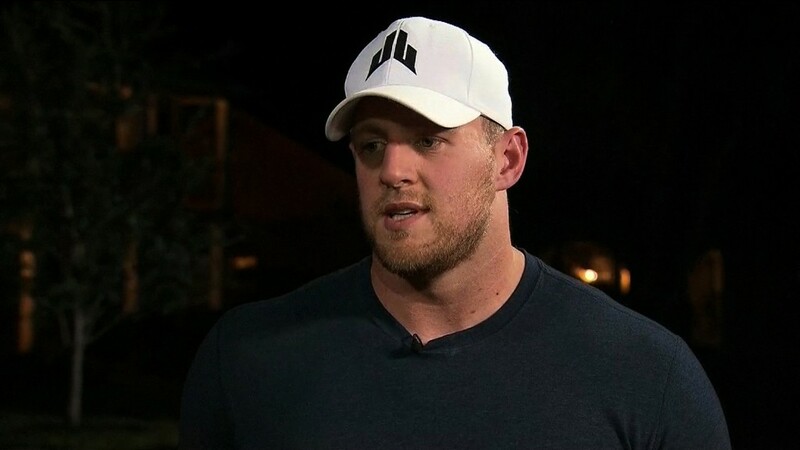 When JJ Watt of the Houston Texans started raising money for Hurricane Harvey victims, he set the goal at $200,000 and reached it in two hours. Now he's topped $20 million. More than a week after the storm ravaged Texas, money is still pouring into Watt's flood relief fund on the crowdfunding site YouCaring. Watt has been updating his Twitter profile with news of what the money is buying, including photos of cases of bottled water and diapers. He's also posted pictures of his teammates distributing it to the victims. Watt started the fundraiser when he and his teammates were stranded in Dallas during the NFL preseason. When the total passed $10 million, Watt said he would leave it open to see how much could be raised. "Please keep sharing. Please keep donating. I can't thank you enough," Watt said in one video. "Every little thing helps. Just because the storm is receding doesn't mean we can stop raising money." Other Houston athletes and teams have contributed, too. Point guard Chris Paul of the Rockets gave $50,000 to Watt's campaign. Rockets owner Leslie Alexander is donating $10 million to the mayor's relief fund. Rockets star James Harden gave $1 million. Jim Crane, owner of the Astros, is working with the team and plans to give $4 million. And the owner of the Texans, Robert McNair, has pledged $1 million, which will be matched by the NFL's charitable foundation. The fund also received a boost from NBC's "The Tonight Show." On Tuesday, host Jimmy Fallon announced the show would donate $1 million to Watt's relief fund.